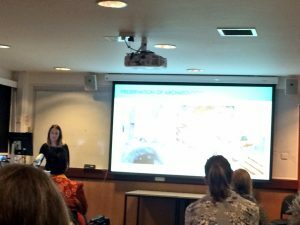 The annual African Archaeology Research Day was held in the Department of Archaeology at the University of York on Saturday 25th November. The day is filled with interesting papers on all aspects of the archaeology in Africa. As the project post doctoral fellow, I delivered a talk on our work this year in the village of Harlaa. My paper was titled ‘Preliminary Results from the Harlaa Archaeological Survey 2017’. On Tuesday 7th November 2017, I gave a talk at the UK Space Agency in Swindon as part of the Hitchikers Guide to Space seminar series. The poster advertising the event can be seen here. A very successful seminar showcasing Centre for Islamic Archaeology and “Becoming Muslim” PhD and post-doctoral research was held on Friday 13th October in the Institute of Arab and Islamic Studies. The Project and the Centre for Islamic Archaeology welcomed two new PhD students to the Institute in September 2017, they are Nathan Anderson and Hannah Parsons. Nathan’s research project is The Materiality of Early Islamic Sects as Observed in Archaeological Remains in East Africa: Quirimbas Islands. A case study. 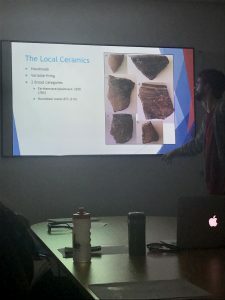 Hannah is completing research on Chinese Ceramic Consumption practices in East Africa: Past Materialities, Entanglements and Identities (10th-17th Centuries AD). This week I attended the Red Sea VIII conference, University of Warsaw, Poland. The results of the 2017 field season at Harlaa, with a particular focus on the beads found, were well received and useful comments obtained following my presentation at this Conference. The impressive new logo for the Centre of Islamic Archaeology at the Institute of Arab and Islamic Studies has been finished. It was beautifully designed by Marc Jones and Nadia Khalaf. “Becoming Muslim” is the current flagship project of the new Centre for Islamic Archaeology inaugurated in the Institute of Arab and Islamic Studies in June 2017 and directed by Professor Timothy Insoll. The centre will serve as a resource for global Islamic archaeology drawing upon expertise in the Institute of Arab and Islamic Studies, and the wider University of Exeter. 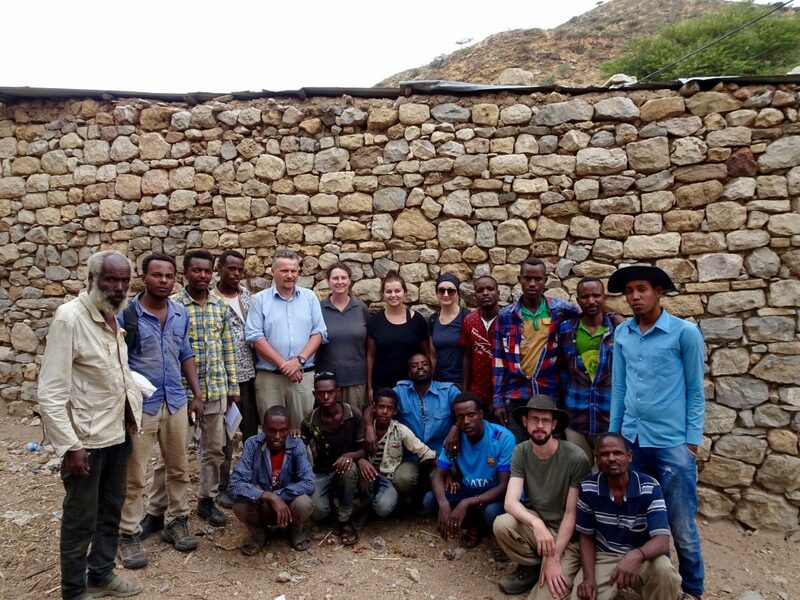 The ‘Becoming Muslim’ team had a very successful first fieldwork season in the village of Harlaa, Eastern Ethiopia. Following the test excavations that took place in 2015-2016, the excavation of a possible jeweller’s workshop (c. mid-12th-late 14th C. AD) in the centre of the village was continued, yielding a range of material including a sequence of buildings, industrial and manufacturing debris, imported trade items, and large assemblages of locally made pottery and faunal remains. A new excavation trench within a Harlaa-period cemetery was also opened, revealing exciting discoveries. A summary of the results and further details from our fieldwork will be published in Nyame Akuma. A systematic field walking survey using a Differential GPS courtesy of the Department of Archaeology, University of Exeter, was carried out which mapped the boundary of ‘ancient Harlaa’, with the help and guidance of local informants. The survey also located evidence for Harlaa style houses and pits within the modern village. 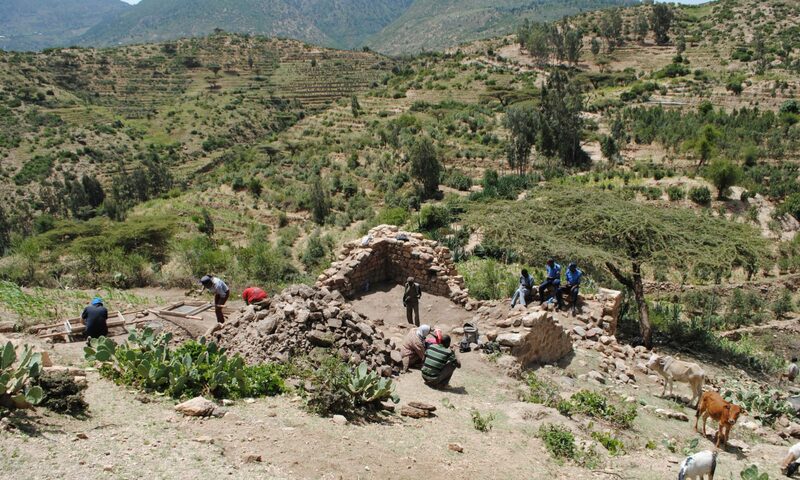 Special thanks to the local people of Harlaa and Dire Dawa for helping us carry out our research and Misganaw Gebremichael and Degsew Zerihun from the Authority for Research and Conservation of Cultural Heritage (ARCCH), Ethiopia, for their assistance on the field. Welcome to the first blog post of the project! The website is currently in production whilst we gear up for fieldwork. The first official season of the project starts next week and will last six weeks. Unfortunately, it is unlikely that we will be able to update the blog whilst we are away (see here). But we will up date you with our findings on our return.